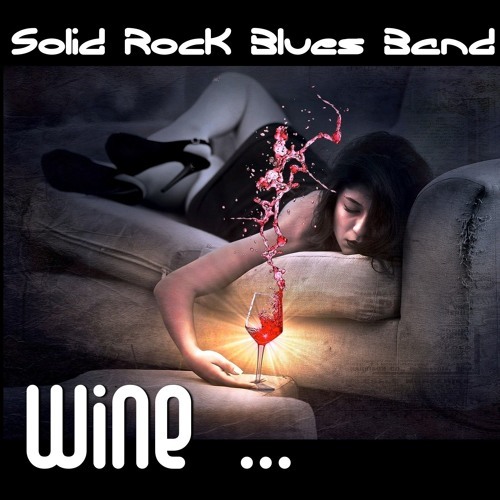 Wine (if the Bottle would be Empty) Words & Music (c)2019 R. Brinkman/Solid Rock Blues Band https://www.SolidRockBluesBand.com in a constant high on wine "life is great", she said believin' everything is fine while living it in a haze only a handful remaining days only a handful days remain This stuff is my Waterloo poor me another one, my dear! I'd have no idea what to do, if the bottle would be empty, and the glass ain't full! and the glass ain't full! (bridge) Ev'ry morning when I get out of bed, I hold my breath and sigh Long enough to make sure, I've still not died Oooh though sometimes I feel like embracing the grim reaper's attack Untill then I hold my glass up high This stuff is my Waterloo poor me another one, dear! I'd have no idea what to do, if the bottle would be empty, and the glass ain't full! if the bottle would be empty, if the bottle would be empty, and the glass ain't full!